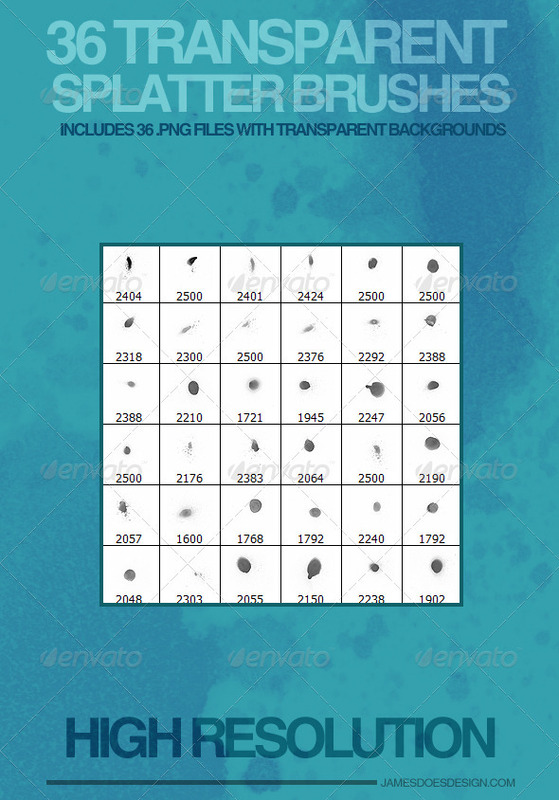 DESCRIPTION:36 Transparent Splatter Brushes. They are a lighter brush for those that might want to mix and match and create overlay’s or duplicate it and watch it get darker. Great for just about any other thing you can think of! This entry was posted in Addons, Splatter and tagged brush, graphic river, Photoshop, spray. Bookmark the permalink. Follow any comments here with the RSS feed for this post. Post a comment or leave a trackback: Trackback URL.